I got this cookie recipe from my sister-in-law. Although at first I was skeptical of any recipe that did not contain what I consider the ESSENTIAL cookie ingredient –chocolate chips– it turned out that I LOVE these! Cream together butter and sugars. Add egg and vanilla, then add flour and baking soda. Mix well. Mix in the crushed ships and butterscotch chips last. Drop by teaspoonfuls on a greased cookie sheet. Bake at 375 for 10-12 minutes. I definitely suggest you try these cookies. And if you can think of a better name, please let me know. 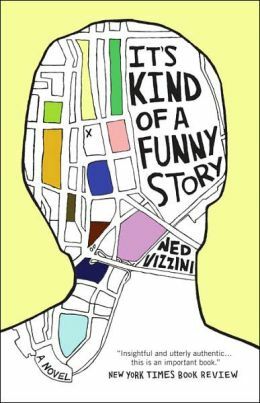 It was a semi-autobiographical story about a teenage boy who entered a mental hospital. It was well-written, and I was interested in the main character, liked him and wished him well. Recently I saw that this guy, now 32 years old, killed himself December 19, 2013. We live on an Army post. Living here is not like living in the civilian world. In many ways, it’s better. We get to know our neighbors, welcoming newcomers and watching out for each others’ kids. Everyone has something in common, and it really builds community. But there’s also the downside of all this military togetherness, and that’s the RULES. When everyone knows everyone else’s business, both work and play, breaking rules can get you into big trouble. The military police (the MP’s) are a big presence on post. NO ONE speeds or runs stop signs here. Really. Once an MP stopped me and accused me of talking on my cell phone while driving (15 mph) just because I HAD MY HAND NEAR MY EAR. I had to get out my phone and let him examine my call log to prove my innocence. I’m not making this up. This is why I’m terrified of the MP’s. Unfortunately I seemed to have passed this fear on to my kids. Yesterday my five-year old son was riding his new bicycle up and down the sidewalk in front of our house when an MP vehicle pulled onto the street. Little Boy got so nervous at the sight of the police car that he jumped the curb and fell off his bike. Then he just lay there and cried until I picked him up. Posted on January 9, 2014 Categories KidsTags military housingLeave a comment on The Police State? I saw this tip on pinterest. 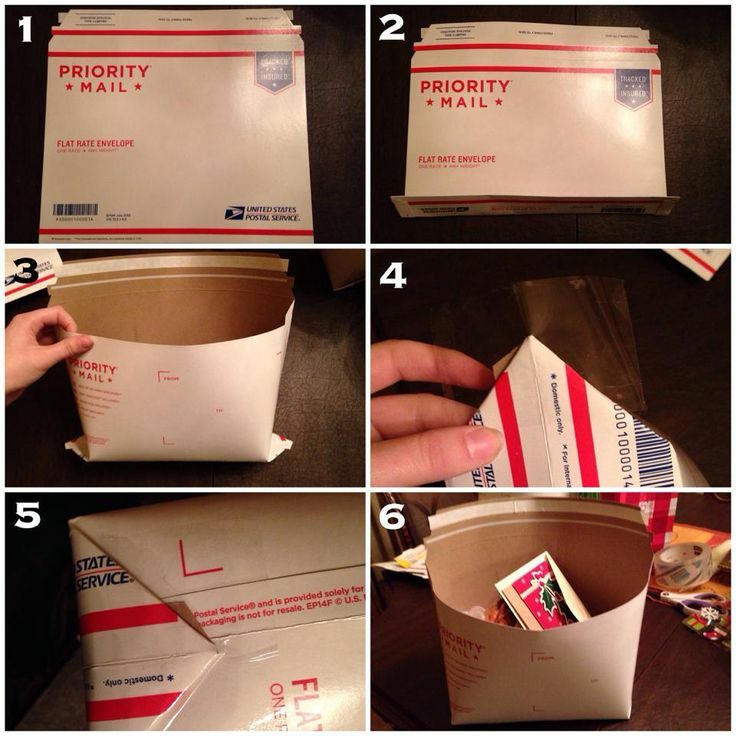 Here in Hawaii we use a lot of flat rate mailing boxes (regular packages take three weeks by boat), so any ideas to get more use out of these things is appreciated. My oldest daughter just went back to the mainland after Christmas and she (of course) left a few things that she wants back IMMEDIATELY. I tried to stuff the three things (one shirt and two computer games) into a small flat rate box. So I pulled up the photo on top from pinterest and made a pouch. The instructions (by which I mean the pictured steps–there was no link to this image) were not too difficult, and everything fit in pretty well. The real question is: Will the post office accept this weird lumpy thing? I’m going to find out tomorrow… STAY TUNED!!! SUCCESS!!! The post office clerk accepted the pouch without question! After I waited in line for half an hour. We went out to eat at a nice restaurant with the kids and their grandparents. We had to ride in a small elevator from the parking garage. It was pretty crowded in the elevator car with all nine of us, but we moved aside as best we could to allow a nice older couple to get in as well. As the elevator descended, I saw ET pinning GG in a headlock, while GG tried to defend herself by stretching her tongue around to lick ET’s arm. Behind her my daughters continued to wrestle silently. Finally the elevator stopped. The old couple shuffled away from us as fast as they could. I turned to ET and GG, who were giving me their most innocent looks. “We were just playing,” they both insisted. Tell that to that poor old woman’s pacemaker, I thought. WAIT FOR THE NEXT ONE.